Keeping in sync with the latest market development, we are engaged in providing a high quality range of Ladies Pants. Paraas fashion is Mumbai ( Maharashtra ) based organization Established in the year 2014, “Parass Fashion” holds expertise in leggings manufacturer, Palazzo , Pants and other ladies bottom wear .. We source raw material from the trustworthy vendors of the industry for manufacturing of our products and ensure that we are offering superior quality products. 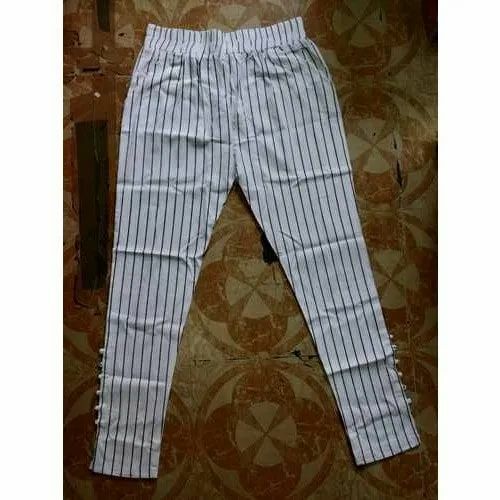 These clothes are cherished for their rich characteristics such as perfect stitching, resistance against shrinkage and fading, fine finish, distinctive appearance and vibrant color combination. Our offered clothes are extremely well-liked in the market owing to their features. Our experts fabricate these clothes keeping in mind the universal market trends. Moreover, our clothes are also obtainable in dissimilar patterns that meet on customers demand.